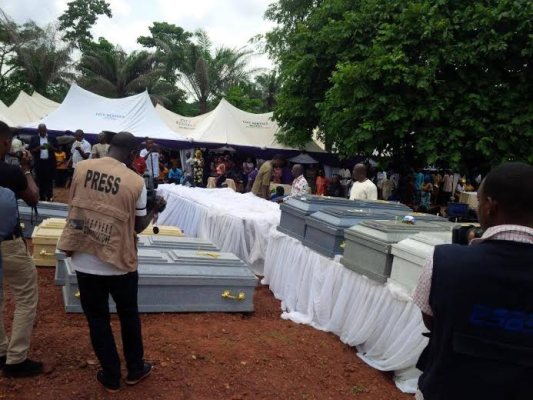 The victims of the bloody massacre in Nimbo community of Uzo-Uwani L.G.A of Enugu State were laid to rest today the friday 17th of June, after the requiem mass in Nimbo. 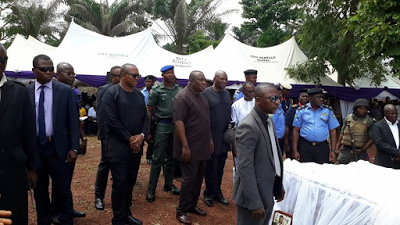 In attendance of the event is Governor Ifeanyi Ugwuanyi of Enugu state, who did nothing to bring the culprits to book, instead shedded crocodile tears and declared fasting and prayer after the gory incident. To rub it in, the shameless Governor flew to Aso Rock the following day; merrying and dining with the patron of the FulanI herdsmen, Muhammadu Buhari. 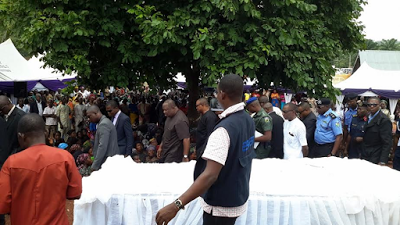 The governor and his entourage has come to tell the souls of these victims to rest in peace today, but we know that they will never rest unless their death is avenged and culprits brought to justice. These are innocent men and women whose lives were cut short with advance notice. 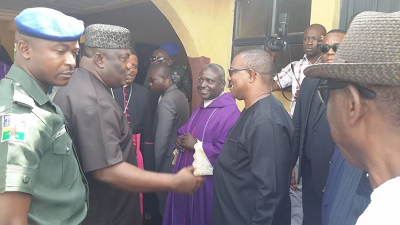 It could be recalled that the natives of Nimbo/Ukpabi sought for help after receiving a prior notice of the attack by the deadly Fulani marauders, but alas, the Chief Security Officer of the state failed those he swore to protect. This is not the first time that such an incident is happening in Biafra land and sure doesn't seem like it will be the last, unless a rapid solution is initiated and which entail the total restoration of the sovereign of Biafra. This is a wake up call to all Biafrans world wide, as recent events has shown that Biafra land is under siege and as we are not safe anywhere unless this continous ravaging of our land and her people is brought to an abrupt end. Only Biafra can get us out of this mess we have found ourselves in.